A speed camera just outside Fraserburgh in Aberdeenshire has been set alight. Vandals targeted the Gatso device on Monday night on the A90 Fraserburgh to Peterhead road. A local safety group spokesman commented: "It's very disturbing, these cameras are here for a good reason, to keep us safe. I would imagine it was someone who has been driving too fast and they are trying to destroy the evidence. 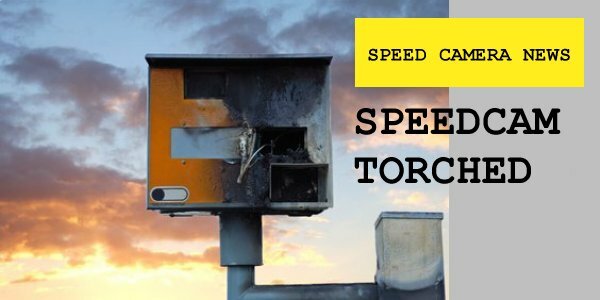 Speeding is a serious offence and we need these cameras." Fraserburgh police said: "Officers in Fraserburgh are appealing for information following a wilful fireraising to a speed camera on the A90 between Fraserburgh and Lonmay. The incident is believed to have happened at around 11.40pm on Monday, August 20th." They added: "We would ask that anyone who may have witnessed anything suspicious in the area or who has information to contact Police Scotland on 101." This is the fourth time is six years that cameras on this route have been set alight.